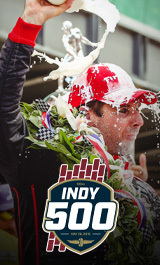 Gainbridge also will become the official annuity and life insurance partner of INDYCAR, IMS and the Indy 500. Gainbridge is a member of Group One Thousand One (“Group1001”), a family of companies striving to make accumulation and insurance products more useful and intuitive for everyone. Group1001 has combined assets under management of approximately $36 billion and continues to look for opportunities to help disciplined investors grow and protect their savings. Group1001’s family of brands includes Gainbridge, Delaware Life, Relay and Clear Spring. Group1001 also believes education and sports have the power to transform communities. Its corporate social programs to date have spanned 22 states, positively impacting over 200,000 youths, and have included public and private partnerships to revitalize youth sports fields in at-risk communities and the creation of mentoring and education programs.